"46th All Orissa Sri Aurobindo Study Circle Conference'' will be held during 4th to 7th April 2016 at Matrubhaban, Cuttack as per the Programme given below. The Conference will be inaugurated on 4th April at 5.30 P.M. Prof. Biswanath Ray from Calcutta will participate in the inaugural function. You are requested to kindly attend with other members of your Study Circle. text and pictures: Sri Aurobindo Education Society, New-Delhi. © quotations from SriAurobindo and The Mother: Sri Aurobindo Ashram Trust,. Pondicherry. So often the question has been asked: “I want to live a true spiritual life, but how do I combine this with my work?” Indeed, it is not easy to stay focused on one’s aim while living an active life in society with all its demands, entertainment and distractions. It seems almost as if the society does everything to make us forget our deeper aims in life. How can one help oneself not to forget? This book could provide some answers and exercises to those who would like to pursue their spiritual quest more actively in every area of their lives. The content of this book is based on the writings of Sri Aurobindo and The Mother. Sri Aurobindo wrote thousands of letters to those who asked for his advice. In one of his letters he writes that one of the aims of his Yoga is, “to live in the inner consciousness more and more while acting from it on the external life...” This implies that the deepest layers of our existence have to come to the foreground and guide every aspect of our daily life. Of course, the answers to these questions can be found in the works of Sri Aurobindo and The Mother, but teachers of integral schools and trainee-teachers during their courses have expressed frequently the wish that this information should be made available in a more easily accessible form. In the original writings of Sri Aurobindo and The Mother there is a richness that can never be obtained in a simpler workbook like this. I am fully aware of the fact that any compilation lifts their words out of context and takes away some of their original depth and meaning. This has been the main reason for me to hesitate so long to bring out this book. But if this book can serve as a stepping stone to these original writings its purpose would be fulfilled. The first part of this book has been written to help all those who want to take the first steps in integrating spirituality in every day life. It may also have something for those who are already on the path. Part 2 of this book deals more specifically with education. Integral Education, as envisaged by Sri Aurobindo and The Mother, is centred around the soul. In the ideal situation it is the psychic being of the teacher which creates a psychic learning environment for the students. Of course, finding one’s psychic being is dependent on Grace and one cannot demand an immediate result the moment one begins intensifying this search. It may take years, it may take more than one lifetime to find the soul. But, it is also true that one cannot implement Integral Education if one has not at least started the search for the soul in oneself. Since the educational world has not yet recognised the significance and potential of Integral Education, one of the challenges of an integral teacher is to stay focused on its true aim and not let the work be diluted too much by forces that oppose change. 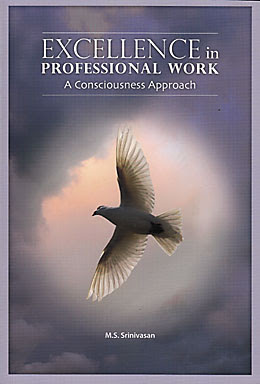 Many teachers have found the exercises and introspections in this book helpful to remain focused. Hopefully these exercises will also work for you. But above all, may you be guided more and more by Their Presence. ... Contact us; PhilPapers Surveys; API; Bargain Finder; About PhilPapers.